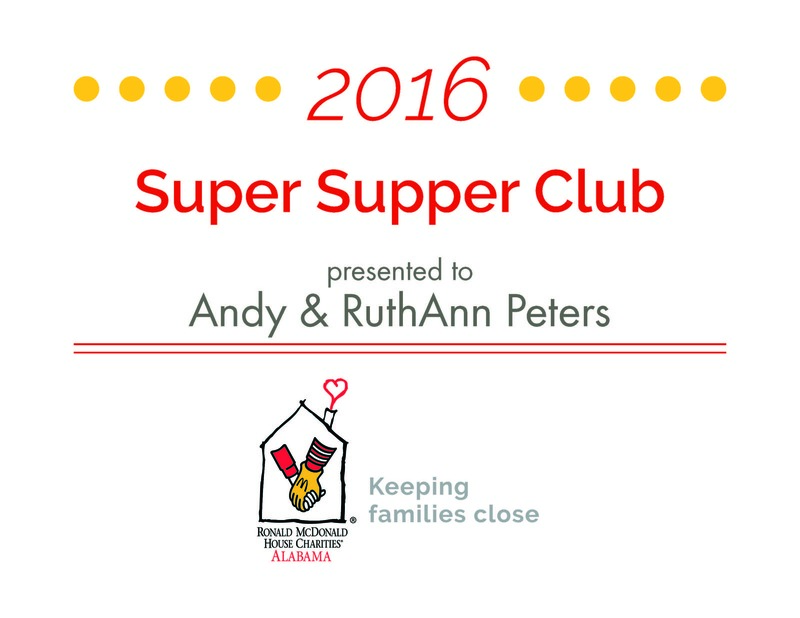 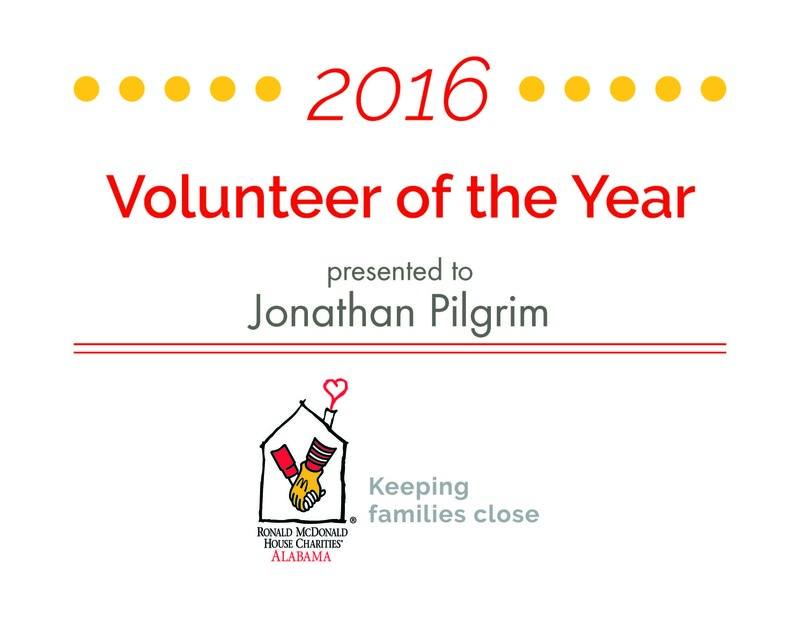 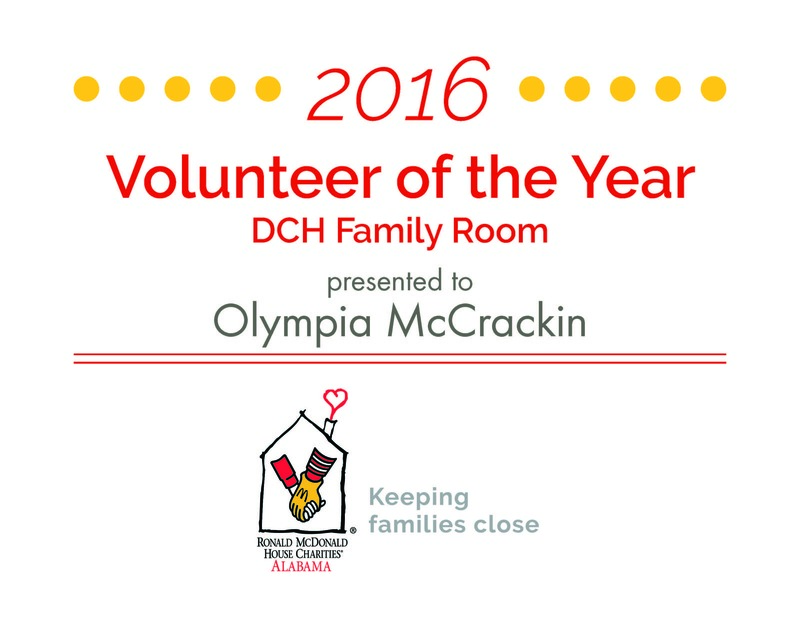 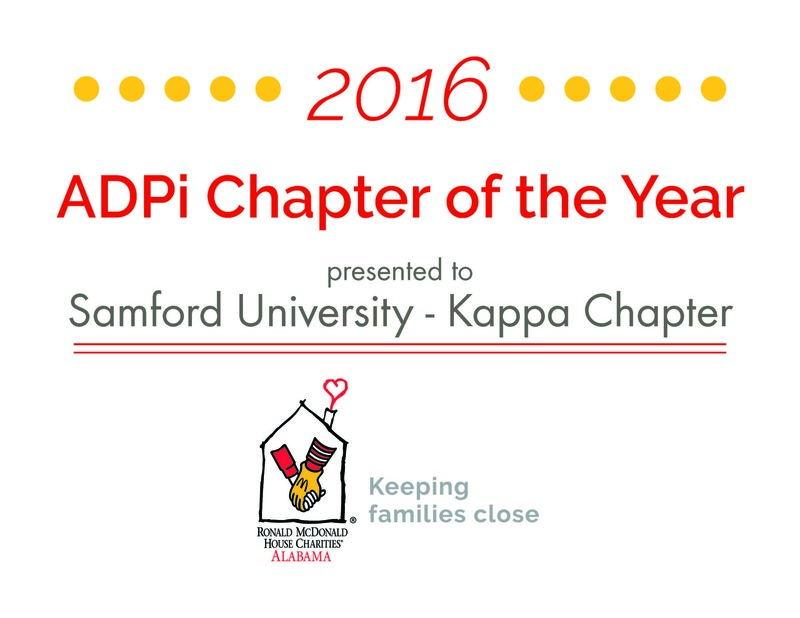 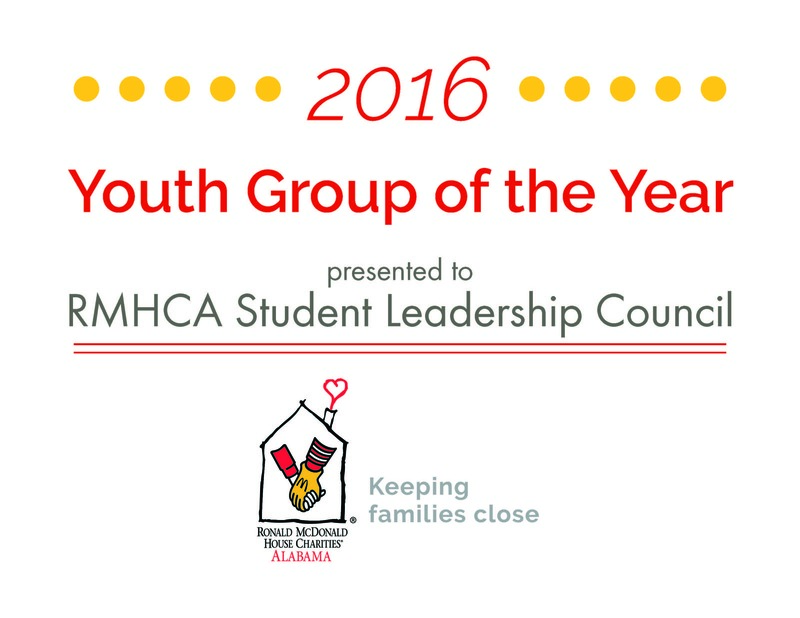 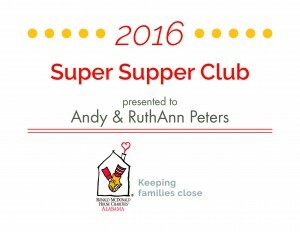 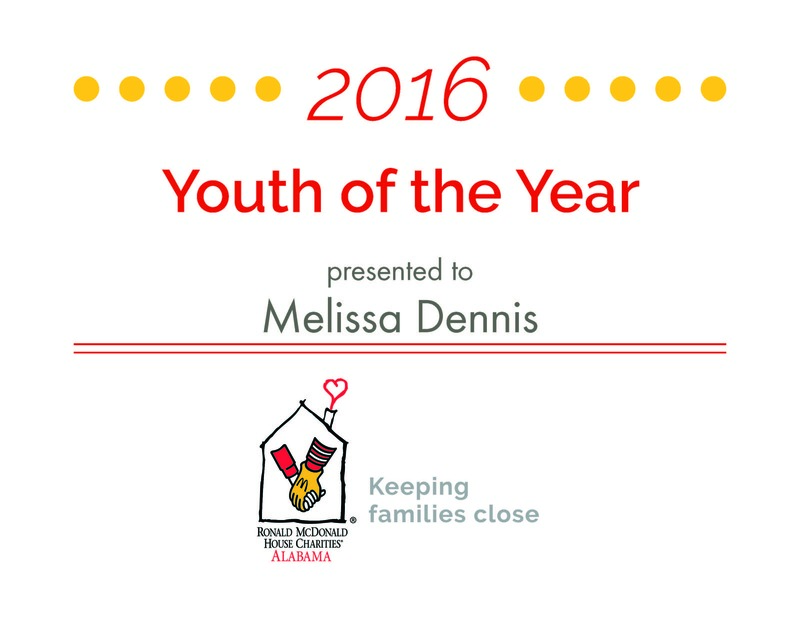 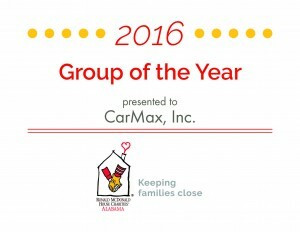 We are so thankful for all of our volunteers who come out and support Ronald McDonald House Charities of Alabama all year long. 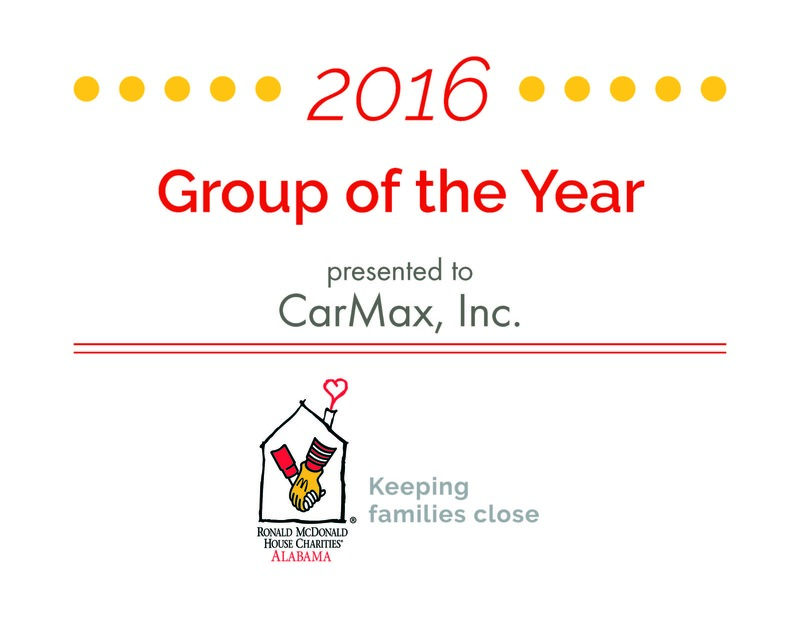 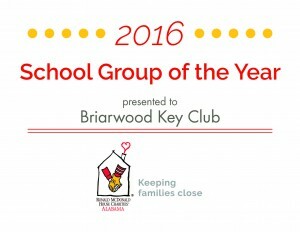 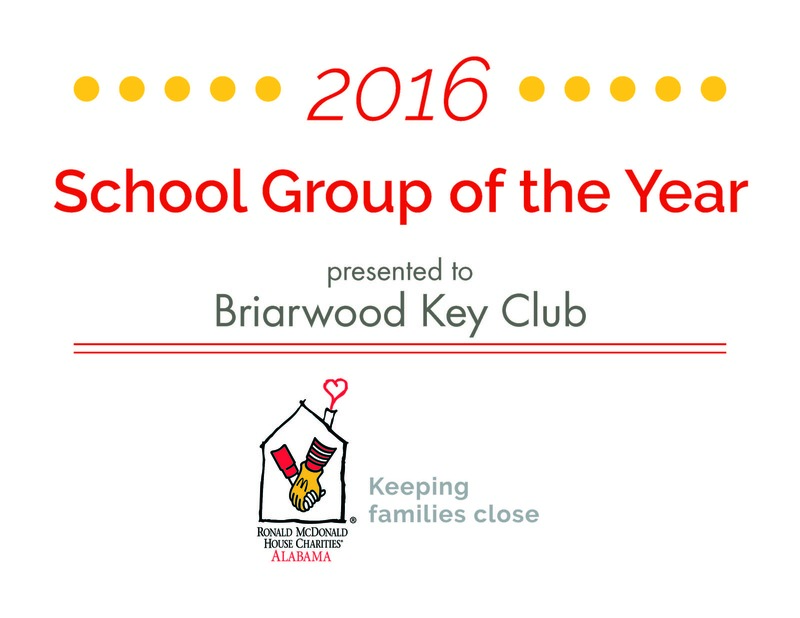 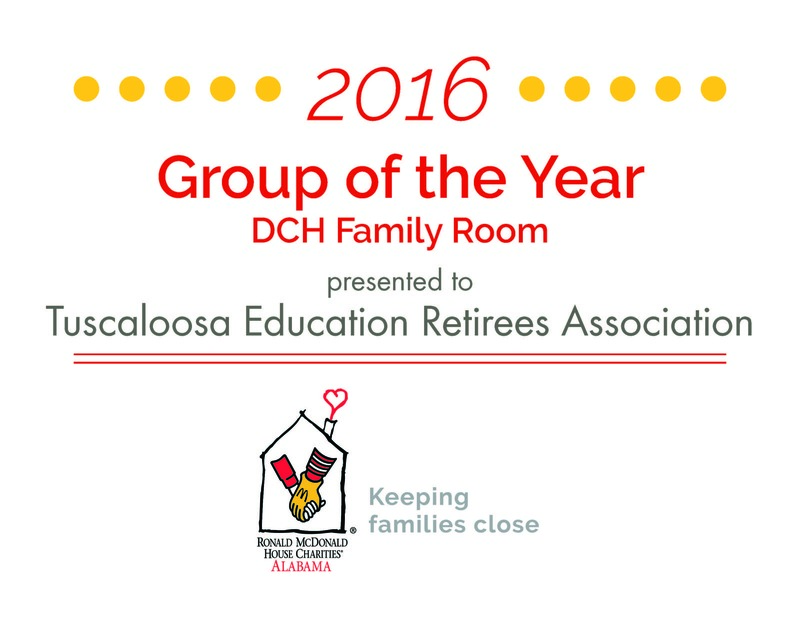 Without them, we could not keep families close at the House in Birmingham or the Family Room at DCH Regional Medical Center. 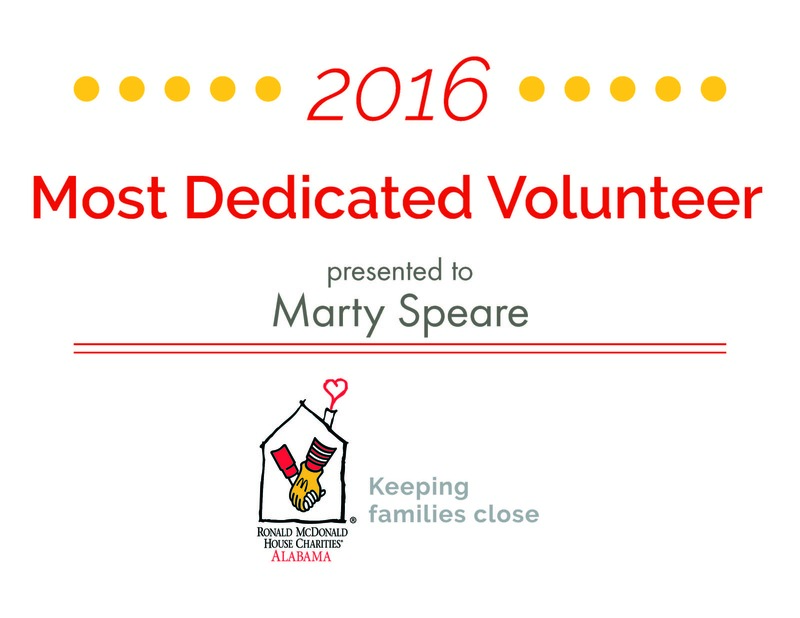 We depend on our volunteers for so much and they truly allow us to do so much that we would not be able to do without them. 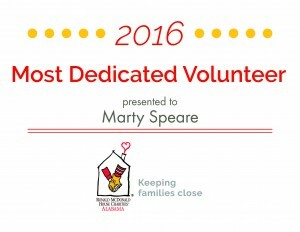 Each year, the nation celebrates National Volunteer Week. 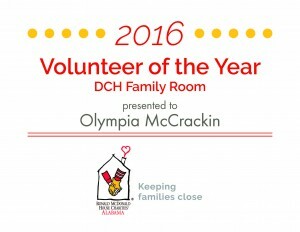 During this time, we try to show some extra lovin’ to our volunteers. 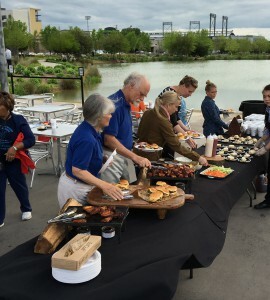 This year, we held a celebration at Railroad Park that Jim ‘N Nicks catered. 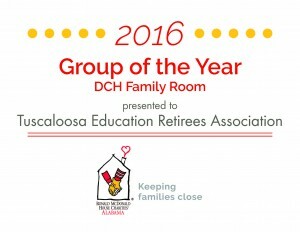 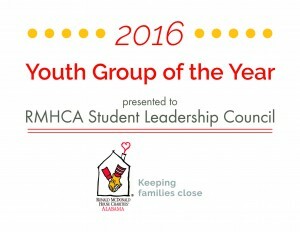 Awards in different categories were presented and we just enjoyed the night celebrating those who help us! 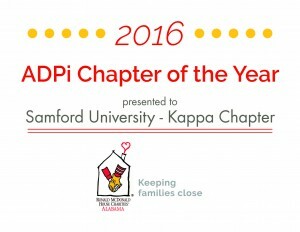 View the awards below (unless on mobile) and visit our Facebook or Flickr Pages to see the pictures from the night!